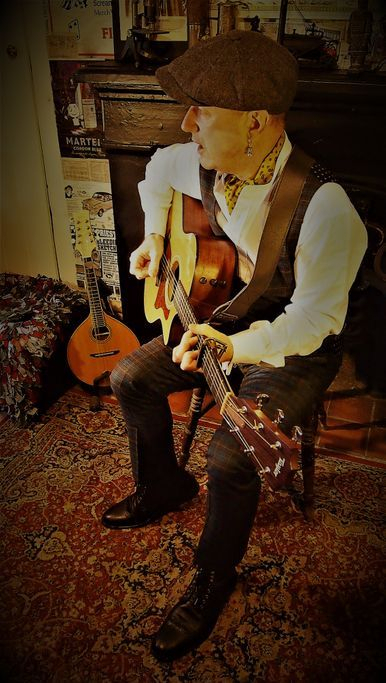 Gary Miller is a Durham (UK)-born songwriter, musician, and performing & recording artist with over 30 years professional experience in many aspects of the Music Industry. He is also a qualified and experienced freelance community arts practitioner; musical director for theatre; professional music industry tutor, lecturer, mentor; published poet & writer. Gary Miller was born in Durham in the North East of England and raised in Sherburn Village, a small ex-coalmining community three miles east of Durham City. He first rose to international prominence during the mid-Eighties and throughout the Nineties as principal songwriter, lead singer, guitarist & mandolin player with The Whisky Priests, the internationally renowned folk-rock band with a worldwide cult following that he founded in 1985 and fronted with his twin brother Glenn (“the Jimi Hendrix of the accordion”) - they were once described by a discerning UK journalist as “the Joe Strummer and Mick Jones of the Folk World". He simultaneously and successfully co-managed the band’s entire business affairs with his twin brother Glenn and together they founded their own independent record label Whippet Records, in 1988, for releasing Whisky Priests and related recordings worldwide. When the twin brothers decided to rest The Whisky Priests indefinitely in 2002 for personal reasons, Gary took a sabbatical from live performance and professional recording due to what became a long-term illness but continued working in the music industry, for example, as an agent at Adastra (now known as Strada); as a music industry tutor; on a variety of projects in collaboration with other artists; as a commissioned songwriter; and as a qualified and experienced community arts practitioner, developing and working on a wide variety of community projects through the UK as a musical director and workshop leader. In 2010, after a long break, he returned to recording and performing with the release of ‘Reflections on War’, his landmark ground-breaking debut solo album and first CD of all new material in 10 years. In the meantime, he has worked with many other musicians, poets, songwriters and artists on a wide range of Collaborations and continues to do so, continually broadening his musical networks and creativity. In 2013 he began work developing and recording 'Mad Martins', his most ambitious project to date, in partnership with his friend, collaborator and internationally acclaimed poet Keith Armstrong. 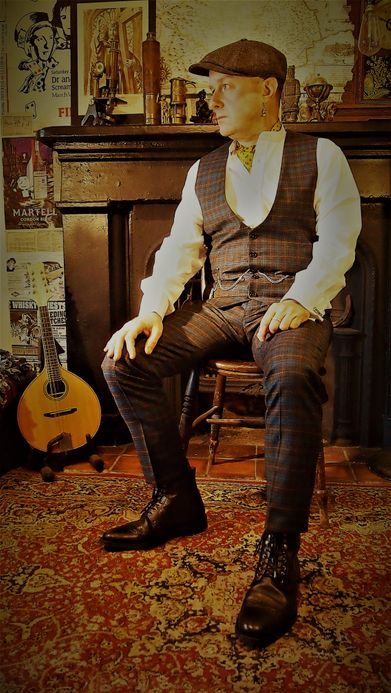 Featuring original songs, poetry and spoken word narration, 'Mad Martins' depicts the extraordinary lives and times of the notorious Martin brothers, William, Jonathan & John, born in the 18th Century in the South Tyne area of Northumberland. Recording & Mastering sessions continued sporadically throughout 2014 & 2015, resulting in a total of 50 tracks spread over 3 CDs (one for each Martin brother respectively), to be housed in a beautifully designed lavishly packaged deluxe book, telling each brother's tale in chronological detail. 'Mad Martins' was eventually completed in 2017, A short series of launch events is due to follow. Long-term plans are also in development to turn 'Mad Martins' into a full-blown theatre project. An official website dedicated entirely to the 'Mad Martins' project is online here. Towards the end of 2016, following a 15-year period spent living in other regions, he relocated back to his native County Durham, reclaiming his roots and gaining a new focus on his creativity. Refreshed and reinvigorated, he is forging ahead with a new-found passion and drive. In 2017, he went into business partnership with his life-partner, artist, illustrator and designer Helen Temperley (Winkin Bitsy). Their first collaboration was the 'Mad Martins' book, with Helen coming on board to provide around 100 pieces of artwork for the project, helping to bring it to completion on a stunning visual level. Helen is now Gary's official illustrator and designer and continues providing visual images for all his projects, as well as logos, icons and merchandise. Gary & Helen's latest creative project together is 'From Coalfield to Battlefield', about the history of the Durham Light Infantry told through the stories of real-life individuals, with Helen providing illustrations to accompany all of Gary's songs. Meanwhile, they have a number of other projects in development, including a CD of songs and illustrations about Joseph Skipsey, the Pitman Poet of Percy Main, and similar projects based on other notable North-East figures.